The QuadStick is available in two models, the original QuadStick and the QuadStick FPS. The primary difference between the two models is the joystick module. 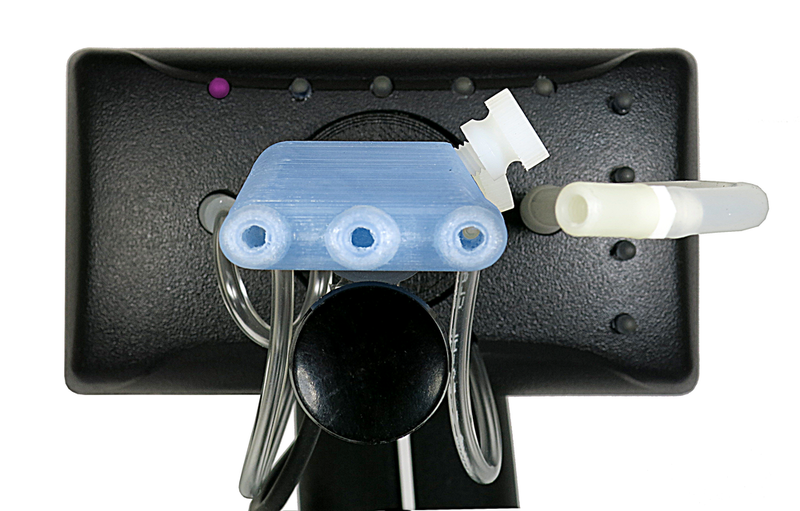 The QuadStick FPS has a larger, more precise joystick with a stronger centering spring than the original model. When choosing between the two models, it should be noted that the QuadStick FPS may not the best choice for some users with disabilities affecting muscle strength. QuadSticks have four sip & puff sensors and a lip position sensor, all connected to a 32-bit ARM processor that converts the sensor inputs into USB and Bluetooth signals for PC's & Game consoles. The QuadStick is directly compatible with the PS3, Android, and many PC games that use a joystick, mouse or keyboard. Through the use of a 3rd party USB adapter, XBox 360, XBox One, and PS4 consoles can be used, as well as PC games that require an XBox 360 controller. The QuadStick appears to the host device as a PS3 compatible Gamepad, Mouse, Keyboard and Flash drive.